As the leading conference hotel in Central Europe, Hilton Prague are looking to consolidate their position by developing a new conference building which will expand the existing facilities by adding a 900 m2 hall, a variety of mid and smaller sized meeting rooms with break out spaces and a new restaurant / café. 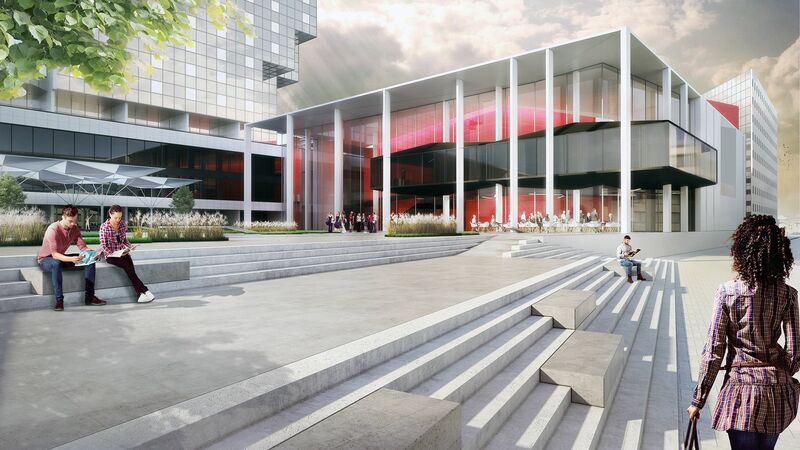 Urbanistically, the new building will provide enclosure, enabling a new urban square to be created. 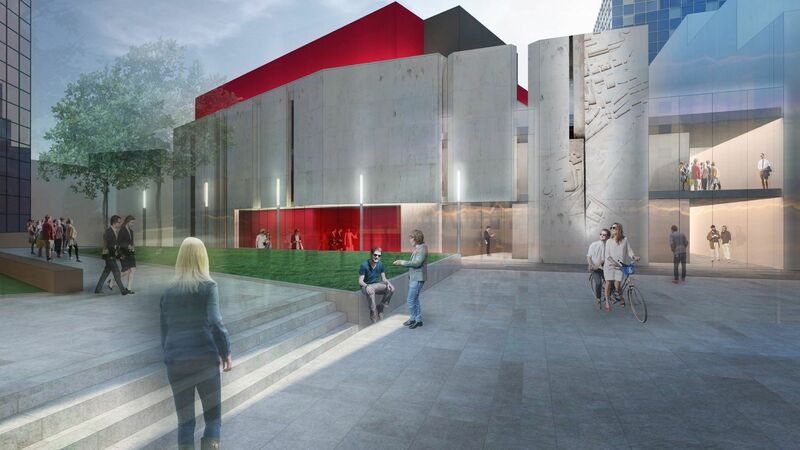 The building will have a large glazed foyer area fronting onto the square and acting as the visible focus or ‘shop window’ for the conference functions in contrast to the existing entrance which gives little indication of the buildings use. 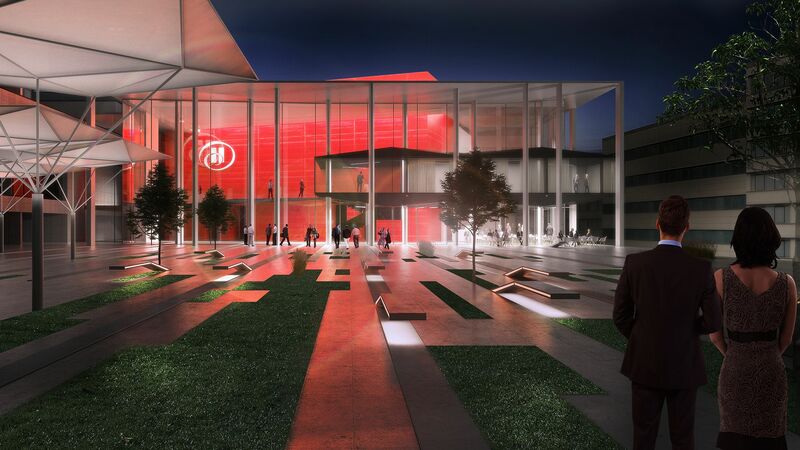 The square is designed as a lively outdoor space and will provide opportunities for events and ‘spill out’ from the conference zone and particularly from the restaurant / café. The scheme has been praised by the Prague Urban development authorities for improving the urban character of this part of Prague centre.